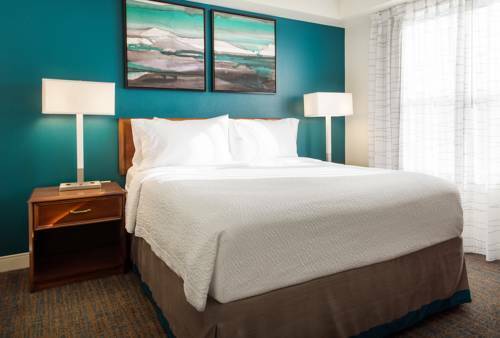 Set against the majestic peaks of the Wasatch Mountains, Residence Inn Salt Lake City Cottonwood promises a stunning stay from sunrise to sunset. As the closest extended-stay hotel to four different Utah ski resorts, we make it easy to hit the slopes in Snowbird, Alta, Solitude and Brighton. Our hotel also offers access to Cottonwood Heights, Old Mill Golf Course and Wheeler Historic Farm, so you're never far from adventure. Following your explorations, continue the fun with a game of basketball at our Sport Court , then rest your weary muscles in our outdoor pool. When it's time to call it a day, retreat to our home-inspired suites. With full kitchens and separate areas to work, relax, dine and dream, our accommodations allow you to maintain your everyday routines. Hungry? Fuel up at our free breakfast buffet, then end the evening with loved ones at our barbecue and picnic area. Whether planning a breathtaking getaway or business retreat, Residence Inn Salt Lake City Cottonwood will make it a success.